In 1985, my wife Nicole had her first (of many) dental filling placed. 24 years later she woke up with an intense headache and extreme vomiting. Her kidney function tested as “critically impaired” – less than 15% functionality. Since that time she has been receiving dialysis treatment three times a week. As I will outline, vapour released from mercury fillings is absorbed into the bloodstream wrecking havoc on the brain, kidneys and other organs. 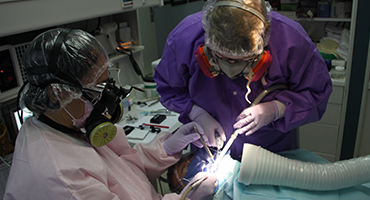 Not only does Nicole have 11 amalgam fillings, she also has three root canals. The byproducts produced by bacteria trapped in the smaller canals left after a root canal procedure may be more damaging than the lethal mercury fillings. 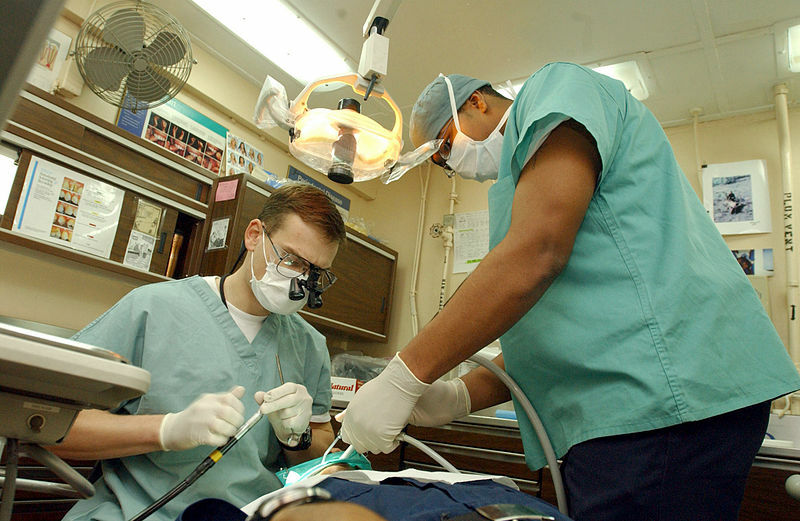 And, possibly worse, the four (or more) cavitations leftover from extracted teeth are most likely breeding even more lethal, gangrene-like infections. Nicole was diagnosed with type-1 diabetes at age 9. This led to numerous cavities and infections. Sadly, as I will outline here, the use of toxic material for her dental work has been a major contributor to four decades of ill health culminating in chronic kidney disease, cognitive problems, depression and systemic nerve damage. I’m endeavoring to raise enough money to have a total dental revision completed by a biological dentist certified in the Huggins Applied Healing Method. It is our hope that by replacing all the toxic dental work with biologically safe material, extracting the dead teeth, removing mercury tattoos on the gums and cleaning out the infected cavitations. Nicole may be able to regain enough kidney function to discontinue dialysis. Secondarily, we are hoping that the removal of these heavy metals and infections from her mouth will improve her ability to manage type-1 diabetes, alleviate depression, improve brain function, increase energy and avoid future health calamities. What Caused the Kidney Failure? Nicole woke up on a Saturday morning, in March 2009. She had planned to take our son to the park. Instead she began vomiting black fluid and having severe diarrhea. A few hours later she found herself in the ER being told she was in stage-five kidney failure. “There is no cure for kidney failure,” said one of the doctors. “You will never get their function back.” Talk about a God complex. A catheter was surgically inserted into an artery in her neck and dialysis treatment began. Three days a week she spends five hours at the hospital having her blood pumped into a machine, filtered and then pumped back into her body. • 3 root canals that have been shown to be a breeding ground for bacteria that can infect the kidneys and produce toxins that destroy kidney cells. • 4 mercury tattoos left on the gums which bacteria in the mouth can convert into the more deadly organic form of methylmercury. • 4 bridges and crowns made of other toxic metals – including nickel (the most carcinogenic element known to man). • 4+ cavitations filled with a gangrene-like infection in her jawline. In short, between deadly infections and toxic dental material, the WHO would severely fine Nicole’s mouth as a hazardous waste site. Not only may the toxic dental situation be causing the kidney failure, but evidence shows it causes other health problems which Nicole has dealt with for the last 34 years. These health issues include: reproductive problems (our first child was a stillborn), birth defects (our second child was born blind), depression, poor digestion, brain fog, chronic fatigue, anxiety and more. 1. A 1991 Danish study by the Department of Environmental Medicine at Odense University found that even small injections of mercury into mice resulted in damage to their kidney tissue. 3. 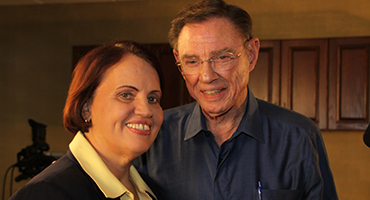 An article by Dr. Joseph Mercola describes the research of Mayo Clinic’s Dr. Weston A. Price from the early 1900s. Price would remove the root canals from patients with kidney failure and implant them under the skin of rabbits. 80% of the rabbits would develop kidney disease and often die (I guess rabbits don’t do dialysis). 4. As already cited, the American Journal of Physiology published the results of an experiment on six female sheep. Within 30 days after receiving dental fillings all six sheep tested positive for impaired kidney function. 5. Autopsies recorded in the Swedish Dental Journal found that those with amalgam fillings had eight times more mercury in their kidneys than those without. I think it stands to reason that a total dental revision – if done correctly with all the safety precautions – will have a positive impact on Nicole’s kidney function. • 8 teeth extracted (including three root canals, 11 mercury fillings and three crowns). • 4-8 old extraction sites opened and cleaned of anaerobic infections. • 4 mercury tattoos (on soft tissue) removed. • 3 (toxic) metal bridges removed. Due to the deadly nature of mercury and the toxins being released by the infections, expensive safeguards and precautions must be put in place for the lengthy surgery. Done improperly, surgery could otherwise make Nicole far worse. Dr. Hal Huggins also discovered that the order in which fillings are removed and teeth extracted helps or hinders recovery. “Sequential removal of the fillings,” explains an article on Huggins Applied Healing, “requires that the quadrant containing the highest negative [electric] current filling be removed first. Then the quadrant with the next highest electrical charge is next.” While life-saving, this extends the time and expense of surgery. • Administering vitamin C intravenously during surgery. • Electrically neutralizing mercury gas that will escape during surgery, using a vapour ionizer. • Sucking mercury vapour into a dental air vac suction, located by Nicole’s mouth. • Placing a rubber dam and sulfur cream to prevent particles harming soft tissue and gas being inhaled via the mouth. • Supplying oxygen via the nose to ensure a pure source of air for Nicole during the surgery. • Providing complete draping and protective eye wear. • Using more suction behind the rubber dam to absorb any mercury that makes it past. The surgery, which will involve three appointments, is only part of the expense. Travel and accommodations are another factor. Finally, the temporary and permanent, full and partial denture arches to replace the extracted teeth (so Nicole can eat) will add up into the thousands. • $690 Evaluation: Initial phone consult & in-clinic examination with Dr. Grube. • $330 Blood Work: Specific tests used to formulate treatment plan. • $100 Hair Test: Analysis of hair sample to evaluate toxicity. 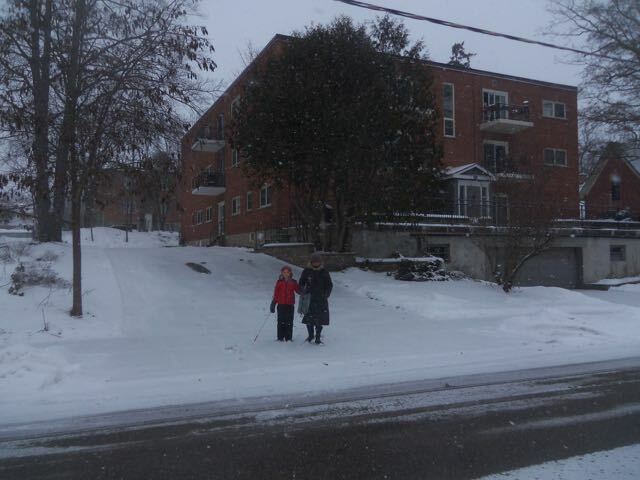 • $120 Taxi to London, Ontario: Three return trip fares for Nicole, Jonah and myself. • $420 Shuttle Bus form London to Detroit, Michigan: Three return trip fares for Nicole, Jonah and myself. • $2,000 Flight from Detroit to Scranton, Pennsylvania: Three return trip tickets for Nicole, Jonah and myself. • $25,000 Total Dental Revision: Extractions, removal of bridging, removal of mercury tattoos and cleaning of cavitations. • $450 Testing: Bio-compatibility blood test to select new dental material. • $3,000 Temporary Partial Dentures: For use for first six months while mouth heals. • $2,100 Accommodations: Rental for two weeks. 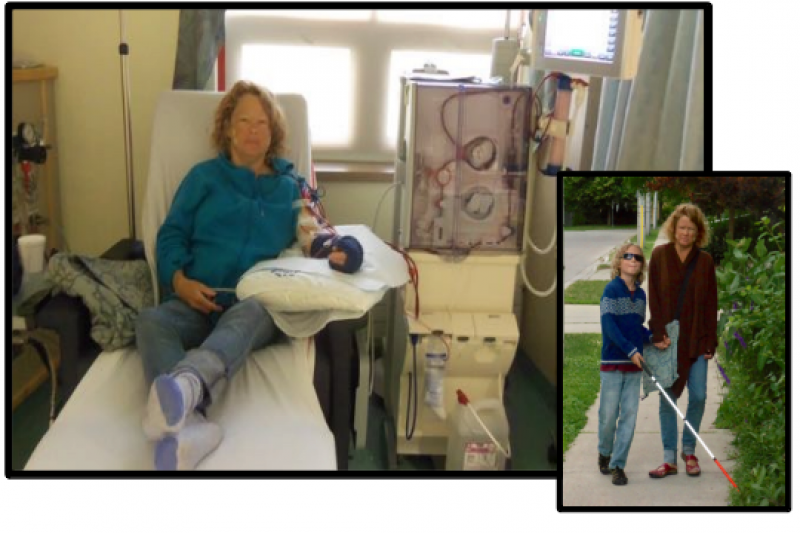 • $4,800 Dialysis: Uninsured portion of six treatments outside of Canada. • $320 Passports: New passports for the whole family, including photos. • $3,000 Permanent Partial Dentures: Placed six months after surgery (once the mouth completely heals). • $3,000 Miscellaneous: Unexpected treatments and expenses; travel insurance. etc. • $4,000 Processing Fees: Deductions made for collecting and processing donations online. That's a grand total of $49,330. Any money that is leftover will go towards the cost of Nicole undergoing the fasting program at the TrueNorth Health Center in Santa Rosa, California or a similar clinic. The surgery will remove the source of toxicity in her mouth, water fasting will clean out the build up in her body and kidneys. “Don’t come to our office if you want beautiful teeth... because it's not going to happen,” says Dr. Grube in a clinic video. “Don’t come to see us if you just want to look gorgeous. That’s not what we’re all about. At Centers for Healing we are about healing. Nicole knows she’s going to lose at least eight teeth in Pennsylvania. She’s already missing quite a number. Because of autoimmune reactions, she will not be getting implants. From a purely aesthetic point of view, it’s going to feel like a downgrade. “If you want everything [in your mouth] to feel like it did when you were 21... If you want to look like a superstar... If you want to have the best smile the planet can afford, please, don’t come to us,” insists Dr. Grube. Nicole just wants some relief from the long list of physical and mental health problems she has lived with for nearly forty years. I think it’s worth demonstrating that the reason we are not able to come up with $50,000 in surplus cash is not because we live an extravagant lifestyle. One of the two bedrooms doubles as a home office from which I run a freelance writing and consulting business. We do not have cable or satellite (or a TV for that matter). There are no cell phones, smart phones (or even cordless phones). We live downtown (“the inner city”) and don’t own a car. We don't eat animal products and rely on whole grains, dry beans and seeds for the bulk of our protein needs. We never touch alcohol. We haven’t had a vacation since our honeymoon 15 years ago. We rarely eat at restaurants (out of necessity rather than luxury). We might go to the movies or the theatre a couple times a year. Nicole spends about 15 hours a week in the hospital receiving dialysis. She spend another 15 hours recovering. We also both homeschool our blind 11-year-old boy. Such a situation does not allow me an enormous amount of time or freedom to earn mucho dinero. 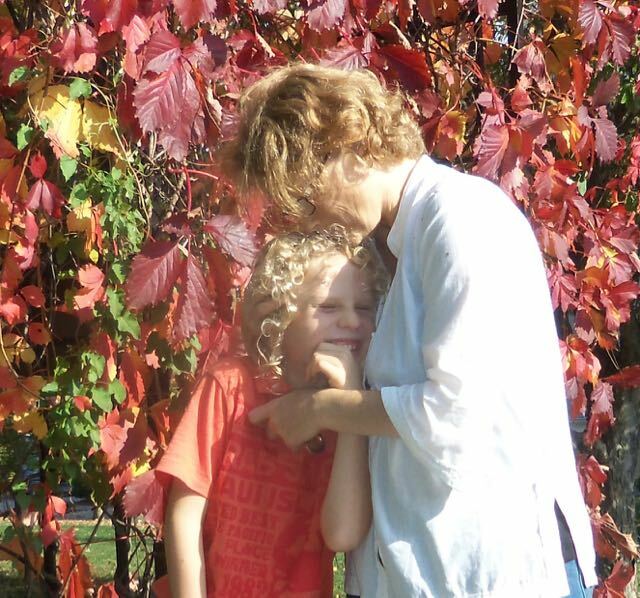 Nicole is not seeking help merely for her own benefit, but for the sake of our ten-year-old son, Jonah. 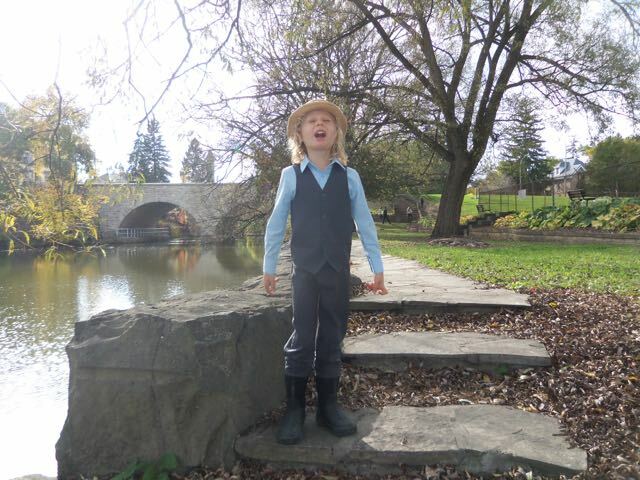 Jonah has been blind since birth due to three eye conditions that developed in utero. He also shows many other signs of mercury toxicity (easily passed via the placenta). A total dental revision can not reverse Jonah’s birth defects. Nonetheless, a total dental revision will make it possible for his mother to better help him deal with his disabilities. According to the Institute of Behavioral Sciences, 30% of persons on dialysis suffer from restless leg syndrome. Nicole is one of them. When not moving she feels an increasingly uncomfortable sensation in her legs that is only relieved by movement. As the institute states in a 2006 issue of the medical journal Drugs, restless leg syndrome leads to “maintenance insomnia, and greatly impaired quality of life.” Nicole can vouch for that one. Nicole can easily put a checkmark beside each of these symptoms. The National Health and Nutrition Examination Survey (2005–2008 ) surveyed 6,911 adults. It found that the less mercury in their blood stream, the greater degree of depression they suffered. At first, this may seem to argue that mercury makes people less depressed. Yet, lower levels of mercury in the blood suggests that incoming mercury is being stored in tissues such as the brain, nerves and organs. According to Mental Health Daily, mercury poisoning also causes: memory loss, suicidal thoughts, obsessive thinking, irritability, dizziness and confusion. Again, Nicole can put a checkmark beside all six points. Why Do So Many Dentists Commit Suicide? So dentists' pituitary glands appear to be congested with mercury vapour which they were exposed to while filling teeth. Many of those filled teeth belonged to people with type-1 diabetes (who are prone to dental infections). Even if dental surgery does not provide an immediate cure of kidney failure and emotional distress, it will most likely help with sleep. In Uninformed Consent, Dr. Huggins says mercury fillings and root canals interfere with acidic fibroblast growth factor (aFGF). aFGF is an enzyme which regulates the sleep/wake cycle. Yet there are more direct ways heavy metals and toxins from dental work disrupt our sleep. As toxins accumulate the blood becomes more acidic. To relieve acidity the brain triggers the respiratory muscles to increase depth and frequency of breathing. This accelerated breathing lowers carbon dioxide in the blood. While too much carbon dioxide will suffocate us, too little will also kill us. CO2 is a relaxant, without which the muscles become tense and nerves agitated. Tension and agitation, common sense suggests, make sleeping difficult. A 2006 Turkish study from the University of Gazi, followed the sleeping patterns of 43 dental nurses. Most dental nurses are exposed to mercury vapour on a daily basis. They were found to have a higher rate of insomnia compared to women of similar age and occupation. If a total dental revision did nothing more for Nicole than improve sleep, it would probably be worth the cost. Since dialysis lasts for only few hours a week, it does no offer the continuous blood filtration which functioning kidneys do. Phosphates, for example, build up in the blood stream drawing calcium out of the bones. This may explain why Nicole’s leg fractured so easily in three places after slipping on ice five years ago. Nicole must be very careful with a viddle as benign as water. If she drinks too much her face, legs and abdomen will become swollen. Water will pool in her lungs making it impossible to breathe while lying down at night. The kidneys also regulate the level of sodium in the blood. Even though Nicole does not eat any salt, the sodium naturally present in foods will still raise blood pressure without adequate kidney function. Likewise, even though she does not eat any animal products, uric acid still reaches dangerous levels. In November of 2018, Nicole ended up the emergency room, almost completely paralyzed and going into cardiac arrest. The cause? She ate too many potassium-rich vegetables. Without properly functioning kidneys potassium can rise to dangerous levels causing heart failure. Weekends make all these issues more complicated. 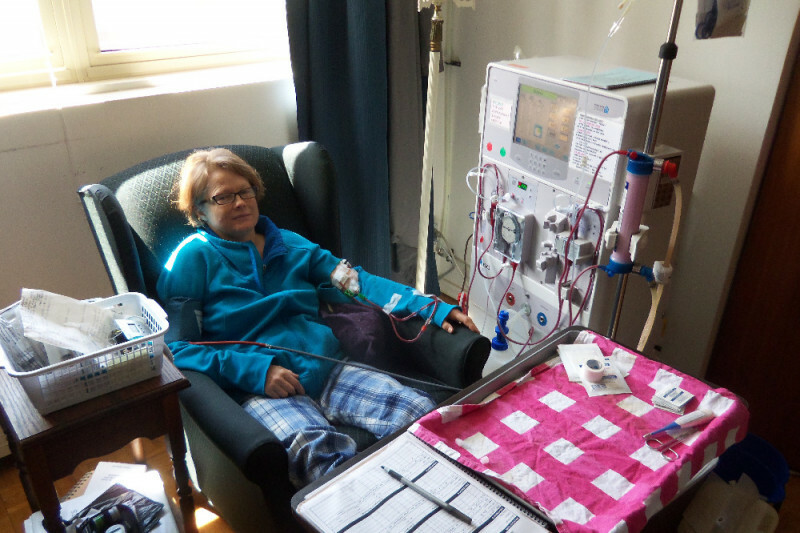 Nicole goes two days without a dialysis treatment (since the clinic is closed on Sundays). To avoid the above mentioned problems she will fast on distilled water for 24 hours. In addition to regulating electrolytes and blood pressure, the kidneys perform many other functions that are not replaced by dialysis, including formation of red blood cells (which is why Nicole has required many blood transfusions), vitamin D production and alkalization of the blood stream. So while dialysis keeps Nicole alive, it is no substitute for functioning kidneys. “Diabetes... can result from an autoimmune process initiated by mercury’s attack of the pancreas,” writes Dr. Hal Huggins in Uniformed Consent. He also points out that mercury binds to insulin, making it inactive. Mercury also inhibits zinc, which is needed to make insulin. While our focus is on fixing the supposed “ravages” of type-1 diabetes, we are hoping a total dental revision will also help subdue the T1D monster itself. The study does say that the organic mercury found in fish is worse than the non-organic mercury found in dental fillings. Organic mercury, it admits, has been linked to neurological, immune and cardiovascular problems. The study omits mentioning, however, that bacteria – such as those breeding in Nicole’s three root canals and four cavitations – can convert the non-organic mercury from the amalgam fillings into the more toxic organic mercury. A 2006 study from the National Taiwan University’s Institute of Toxicology found that even “low-dose mercury-induced oxidative stress” caused mice to lose their ability to produce insulin. So, while our focus is on reversing the kidney failure, we see no reason to stop there. Evidence suggests that a total dental revision could be part of a cure for type-1 diabetes. At the very least, it will help with blood sugar control and minimize the complications of type-1 diabetes. And where does that “oral battery” discharge? 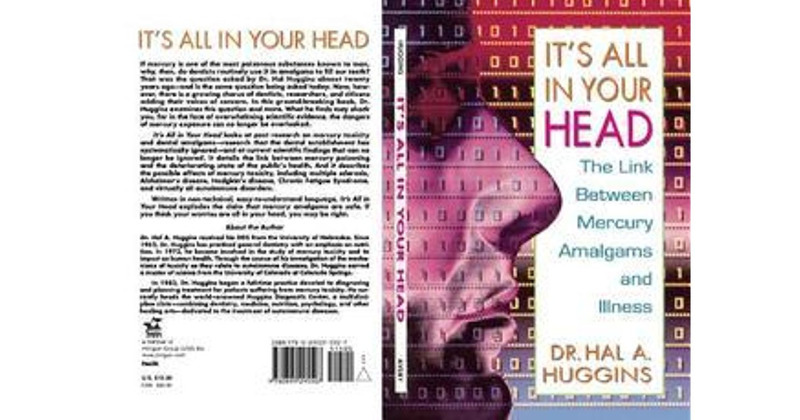 According to Dr. Hal Huggins, in his book It’s All In Your Head, the current takes the path of least resistant. In most cases, that’s a direct route to the brain. Such a charge may explain the frequent brain fog and occasional seizures that Nicole experiences. In April of 2017, for example, Nicole suffered severe pain throughout her mouth for several days. At the same time she was having difficulty thinking and speaking. This culminated with her becoming incapable of speech and losing consciousness for an hour. Other problems that such oral-electro galvanism causes (and Nicole suffers): eye problems, insomnia, psychological problems, lack of concentration and memory, mouth pain, headaches and nausea. This electric current generated by Nicole’s fillings, bridges and crowns may also cause the mercury, nickel and cadmium in her dental work to corrode and leech even more intensely into the body. Suffering from kidney failure and type-1 diabetes makes Nicole’s other health problems look benign. Nonetheless, I’d like to quickly show that many other health problems she endures may also be caused by toxic dental work and infections. • Nicole can easily get irritated over matters that wouldn’t bother other people. • She suffers from constant fatigue and needs frequent naps. • Her behavior can change radically from one moment to the next. • Headaches are less common than they used to be as long as she keeps up with various cleansing therapies (such as enemas and saunas). • She definitely doesn’t hear as well as she used to, often asking people to repeat things or to speak louder. • She has suffered from severe episodes of dysarthria – slurring of speech – that last anywhere from two to 24 hours. In 20122 she was hospitalized (which probably made things worse) because she could hardly speak. • During episodes of hypoglycemia she has also hallucinated. Though, fortunately, this isn’t too common. • Coordination has always been poor, often resulting in her falling on cement or ice. She has the scars to prove it (plus a few bolts from the time when she fractured three bones in her leg). “Nearly every chronic degenerative disease has been linked with root canals,” writes Dr. Joseph Mercola. This includes cancer. Dr. Robert Jones performed a 5-year study on 300 breast cancer patients, as reported by Holistic Dentistry News. He discovered 93% of breast cancer patients had root canals. The other 7% had other toxic dental work. In all cases, the tumors grew on the same side of the body as the dental work. The last thing we want is to add cancer to the long list of health problems Nicole has had to deal with. In Uninformed Consent, Dr. Huggins lists many other problems associated with mercury poisoning that Nicole suffers: low hemoglobin count, mutated gut bacteria that interferes with digestion, candida yeast infections (which feed on mercury), loss of personality and near-sightedness. Several times a day Nicole has minor asthma attacks which she has been able to control (but not eliminate) using special breathing exercises from Russia. Asthma, also, may be relieved or eliminated thanks to a total dental revision. The International Journal of Risk & Safety in Medicine presented a case study of a 5-year girl who had two severe cavities. Her dentist placed two amalgam (50% mercury) fillings. Four months later the girl developed asthma. Eight years later, she is reported to be in “full health.” It would be nice if I could report the same about Nicole in eight years. The toxicity of mercury fillings has now been recognized by the European Union. According to an article on Mercola.com, amalgam use will be banned in all 28 countries of the EU for children under 15 and nursing and pregnant mothers. This took effect July 1, 2018. Amalgams had already been banned (for all ages) or severely restricted in Norway, Sweden, Denmark and Germany (according to The Guardian ). If mercury fillings are deemed too dangerous for use now, they were too dangerous for use when Nicole had them placed 32 years ago. Sadly, the Royal College of Dental Surgeons of Ontario won’t be paying for their removal. 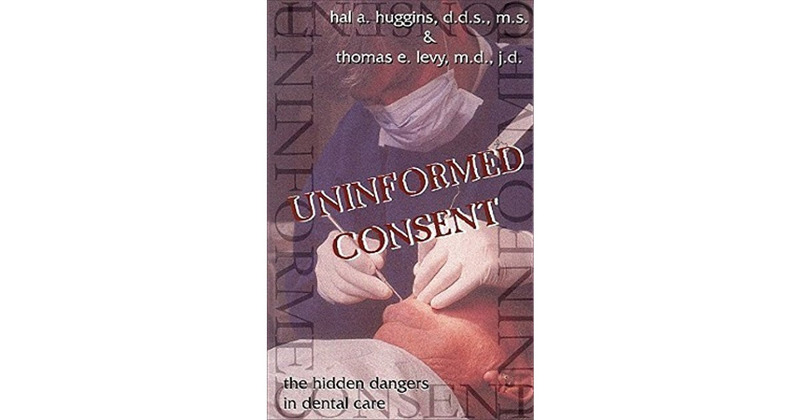 According to Dr. Huggin’s book, It’s all In Your Head, the American Dental Association admitted in 1984 that 5% of the population is “sensitive” to mercury. Hal Huggins points out that even 5% of 300 million people is considered an epidemic. That’s more than 15 million people in the USA alone. Notwithstanding, Huggins’ own testing, using a mercury patch, showed that nine out of ten people have a systemic reaction to mercury. 73.3% of people, for example, suffered depression and 90% developed autoimmune diseases (including diabetes). Today, the ADA says only 1% of people are sensitive. Researchers like Dr. Hal Huggins, however, find 90% are not just sensitive, but suffering greatly from mercury fillings. What do you believe? Actual tests or a prestigious organization? Why Not Get Any Dentist to Pull the Teeth? Originally we looked at having a local dentist pull Nicole’s offending teeth. But after much study we realized this would most likely create an even bigger problem. • Often times the periodontal ligament (which buffers between the tooth and jaw) is left behind after an extraction. The infected and exposed ligament can breed even more bacteria and their toxic byproducts. • Extraction sites often don’t heal properly because the type of pain medication used constricts blood flow to the site. • Dentists typically don’t allow sufficient bleeding after extraction. This results in cavitations that breed highly toxic bacteria that can survive without oxygen. • The order in which the teeth are removed has a critical affect on the nervous system, accelerating healing or disease. Few dentists appear to be aware of these issues, no less able to avoid them. For this reason we need to work with a doctor certified in the Huggins Applied Healing Method. “So, yes, if, if, if, all these procedures are done then you can turn around a lot of the incurable diseases at a very high rate,” says Dr. Huggins, “but leave out one or two steps, it doesn’t work. So it’s very touchy. But Can Kidney Damage Be Reversed? Conventional medicine would say that even if the cause of the kidney failure is removed, once they fail, they fail. I do agree that simply removing the cause may not be enough, but we have no intention of relying on the total dental revision alone. We cannot expect all of Nicole’s health problems to heal miraculously and instantly once the toxic dental work is removed. Likewise, we cannot expect them to heal at all if those heavy metals and infections are not removed. One measure of mercury toxicity, according to Dr. Hal Huggins in his book It’s All In Your Head, is based on the damage it has done to proteins in the blood. Simply divide the total amount of protein in the blood (Nicole’s is 11g/dL) by how much albumin it contains (Nicole’s is 3g/dL). Albumin is a special type of protein that easily becomes contaminated with mercury. The less albumin, the more mercury. A healthy ratio of albumin to total protein is 3.0. “Those with a ratio below 2.6 responded more slowly,” explain Huggins, “and those below 2.1 were even slower reactors.” Nicole’s ratio is 1.3. So, we do not expect that my wife’s health problems will immediately vanish once the Center for Healing dental clinic removes the toxic dental work. We do, however, expect her ailments will decrease to such an extent that she has a realistic chance at reversing them. In particularly, after the surgery, Nicole will continue using various healing methods which have already increased her kidney function. Central to these is fasting with distilled water. Fasting allows her body to clean and regenerate kidney tissue. She’ll also continue with Buteyko breathing exercises, infrared sauna therapy, enemas, amniotic fluid therapy and other methods that we have found effective. Yet while she still has so many infections and heavy metals contaminating her mouth, it’s a near impossible battle until they are removed. In the end, we are looking at raising $49,330 to cover travel expenses, the dental surgery and the dentures. The benefits should domino from Nicole's mouth to her entire body. Right now she struggles to get by relying on two forms of life support therapy (injected insulin and hemodialysis) while dealing with multiple infections and toxins leaching her into blood, lungs and bowels from her mouth. Even if a total dental revision did not result in her kidneys healing, it should most definitely yield many physical, mental and emotional benefits which could make life more bearable. I plan to document and publish the entire experiment on our website. Such research will in turn benefit thousands of other people living with type-1 diabetes and kidney failure. Also, if you can share this page with friends, families, co-workers that could also make a big difference. Either email the link to this page or use the Share or Tweet button above. I don’t know about you, but I’m not one to wait around for mainstream medicine to find cures for diabetic kidney failure, diabetic nerve damage and diabetic dementia. Here’s a chance to put some money towards a specific experiment where you’ll be able to witness the results. You can reach me at (519) 508-1624 or (719) 445-1498 to discuss this further. Week Two and we nearly hit $1,500 (short by $5). It's been very much appreciated. There's hasn't been as many donations as we expected, but those who have donated were much more generous than we expected. We've had a phone consult with Dr. Grube in Pennsylvania. She said that there was so much wrong with Nicole's mouth (based on x-rays we emailed) it would almost be impossible for Nicole not receive significant and immediate benefits from the surgery. We're still working out the final cost of the surgery. The estimate I listed is the worst-case scenario. I might be able to reduce the goal once some details are settled about how many additional cavitations need to be cleaned out. We also need to decide whaether the one non-mercury (plastic) filling Nicole has needs to be replaced. And there' s also the cost of removing the mercury tattoos off the soft tissue. Dr. Grube was a bit reluctant about doing too much surgery at once; possibly leaving some for 6-12 months down the road. We surpassed the $1000 mark today. Not bad for the first week. This more than covers the cost of the initial evaluation ($680). We already started the initial evaluation via telephone (the rest will be completed when we arrive in Pennsylvania). Dr. Grube commented how there's so much wrong with Nicole's mouth that it would be difficult not see some big improvements coming after the surgery.